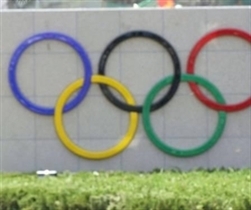 Seventy two athletes have been included in Bulgaria’s final lineup for the Beijing Olympics. From 8 to 24 August they will compete in 15 events. The largest is the track-and-field group: 16 athletes. From among them major hopes are reposed on Daniela Yordanova (1500 m), Momchil Karailiev (triple jump) and Spas Buhalov (pole vault). For the first time in many years Bulgaria has got no contester in the women’s high jump. World Junior Vice Champion Mirella Demireva was very close to covering the normative of 191 cm, but failed. 6 male and 2 female weightlifters have been excluded from the Olympic delegation after positive tests for banned substances use. The first group of Bulgarian athletes leaves for Beijing on 28 July lead by marksmanship favorites Tanyu Kiriakov and two times Olympic champion Maria Grozdeva. If a Bulgarian athlete wins a gold medal, he or she will get EUR 125,000 worth in remuneration.